The Organizing Committee of the ABC (Association for Business Communication) Europe, Africa and Middle East Regional Conference invites you to participate in this international scientific event that will take place from the 11th to the 13th of July, 2018 at the University of Alcalá. The upcoming Regional Conference will take place in the historic center of the charming medieval city of Alcalá de Henares at Madrid (Spain), which is located only 30 kms. from the capital and was the birthplace of Miguel de Cervantes. 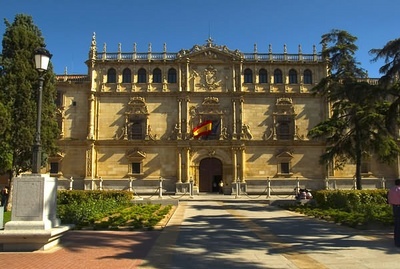 Both the University of Alcalá and the Town Historic Center were designated UNESCO World Heritage sites in 1998. Check the final program now! Call for papers is CLOSED. Thank you for sending all your proposals. We will inform you about your acceptance/rejection very soon. Check the preconference workshops scheduled for Tuesday, 10 July. Additional rates apply for these sessions.